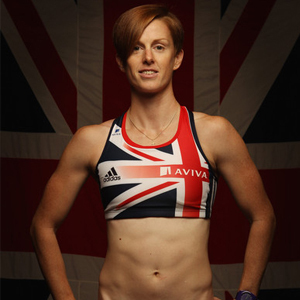 Looking back on your lengthy career as a Team GB sprinter, what have been some of your personal highlights? Highlights for me were winning my first UK 100m title. Something that was a surprise for many except for me and my coach, Madeline Western. Competing at the 2008 Olympic Games in Beijing was immense, an achievement I appreciate more as the years go by. Thinking about the clients you’ve worked with so far, do you have any go-to or common approaches you use? I pride myself on my ability to set a target and meet it. I approach each athlete/clients’ goal as I used to mine as an international athlete. I like to leave no stone unturned and cover all bases. I work with a great team at the Centre for Health and Human Performance (CHHP) in Harley Street, where I have an amazing network of professionals in health and exercise science. Also at West London Track and Field where we have a group of like-minded, forward-thinking coaches and therapists. In terms of actual training sessions, I am a believer in making athletes/clients move better. Enabling them to move well in all planes of motion and then making them stronger in those positions. I also like to educate the athlete/client so they are able to think for themselves and almost make myself, as a coach, redundant. Have there been any cases where clients have struggled to achieve their goals for whatever reason? If so, how have you looked to turn things around, further motivate them and see to it that your clients succeed? There are always bumps in the road. I remind the athlete/client that the destination remains the same, we are just going to take a different route. Struggling to meet a goal means you have made it a challenge for yourself which is a sign of a good goal. It may mean a different route or extending the timeframe, but generally the athletes and clients that I work with will meet their goals. I am a naturally positive person which does not give my athletes/clients the option to worry about a bump in the road. How important is it for a personal trainer/coach to continue to invest in their own knowledge and education? I think it is very important. No one can truly believe they already know it all. I like to listen to podcasts, read articles and books and more importantly speak to other professionals. Having spent time with one of the world’s most successful track and field coaches, Dan Pfaff, it is extremely humbling to hear him say how many mistakes he has made, how many times he has failed and how he continues to broaden his already extremely expansive knowledge. Do you have any other practical advice for aspiring personal trainers and fitness professionals? It would be to learn to be flexible. Very rarely will I write a session and deliver it exactly as I planned. Have a plan B ready, even a plan C, D and E! Be prepared and unflappable.